Ram is expanding the 1500 Rebel’s color palette by one, along with adding body-colored running boards and R-A-M tailgate badge on the Limited trim level. 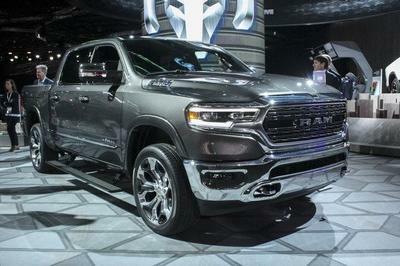 That’s the news from Houston, Texas were Ram debuted the changes to the truck-loving market. The new color is called Delmonico Red and will be available on 2017 model Rebel trucks at no charge. The color is also available on the Rebel Black, which comes with black wheels and front skid plate. Inside, the Rebel continues unchanged, utilizing black and gray colors with the Rebel logo stitched into the front seats’ side bolsters. Anodized aluminum accents the dashboard and center console for a custom look. The Uconnect 8.4-inch screen is standard, as is the full-length center console that separates the front bucket seats. 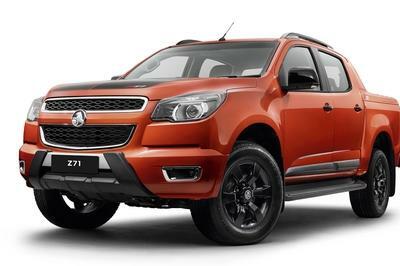 A full bench seat holds three people in back, as the Rebel is only available in the Crew Cab configuration. 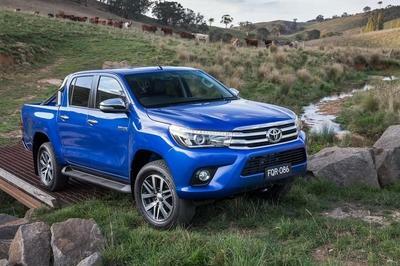 As for the range-topping Limited trim, those can now be ordered with monochromatic touches, including body-colored running boards and a body-colored R-A-M badge on the tailgate. This option isn’t confined to the 1500-series, either. Customers can order the monochromatic look on the 2500 and 3500, as well. Body-color running boards will also be offered on the Ram 1500 Night edition. As for pricing, the Rebel starts at $46,490, including destination. The Delmonico color will start arriving in showrooms this May. The Limited trim starts at $55,660, including destination. And like the Delmonico-colored Rebel, it will begin arriving in May. Those wanting the body-colored running boards and R-A-M tailgate logo options will have to pay $195 for each. 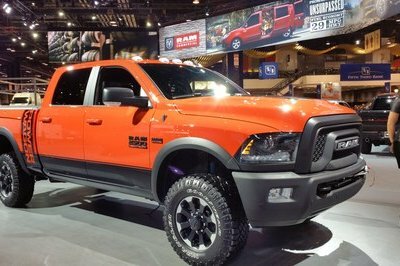 Ram is trying to expand its appeal to a wide, truck-loving customer base – that much is apparent. The added color should help bring attention to the Rebel, while expanding its somewhat limited color choices. 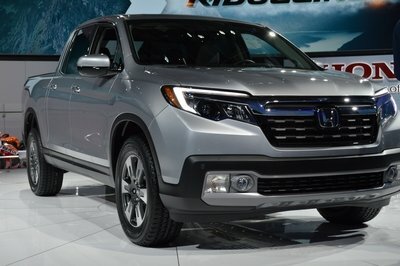 As for the Limited trim, the monochromatic look should serve it well, complementing the other body-colored trim pieces already found on the truck. Ram Truck today unveiled updates to two of its leading model lines; the 2017 Ram 1500 Rebel and Ram Limited. Ram also announced that the most premium members of the Ram pickup truck lineup — Ram Limited models — will be available with new body-color R-A-M tailgate letters and side steps, replacing chrome tailgate letters and side steps. The Rebel Delmonico Red is a new no-charge addition to the Rebel family of colors. The deep red exterior color is available on all Rebel models and in two-tone (black lower panels) or monotone paint treatments. 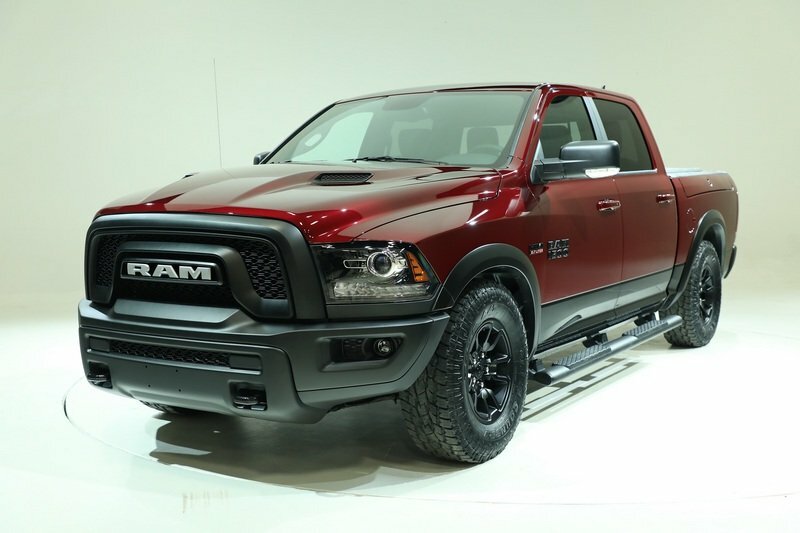 Ram 1500 Rebel Delmonico Red can also be ordered with the Rebel Black (black wheels and front skid plate) appearance package. The Ram Rebel Delmonico Red starting Manufacturer’s Suggested Retail Price (MSRP) is $45,095, plus $1,395 destination. Orders are open now and Delmonico Red Rebels will start arriving in dealerships in May 2017. 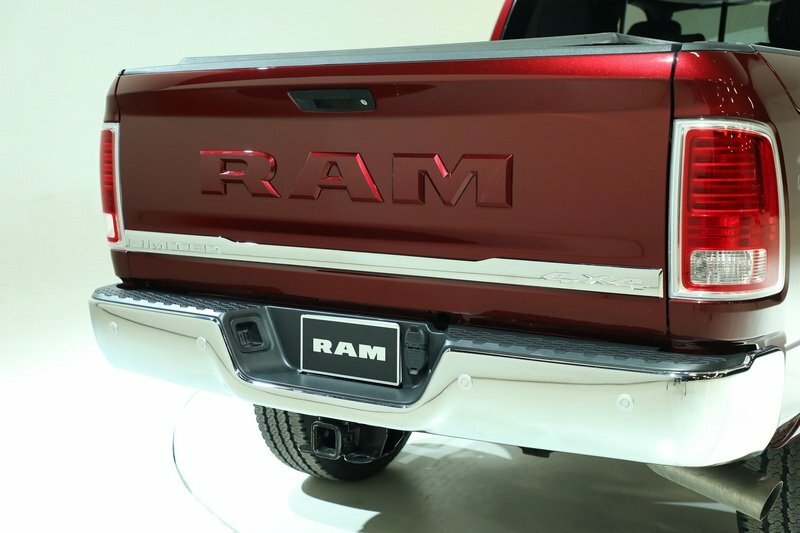 Also announced, Ram 1500, 2500 and 3500 Limited trim pickups can now be ordered with monochromatic R-A-M tailgate letters, including Bright Silver Metallic, Bright White, Brilliant Black Crystal, Delmonico Red, Granite Crystal Metallic, Maximum Steel Metallic, Pearl White and True Blue. The new letters offer an alternative appearance option from the standard bright chrome letters introduced last year. Ram 1500, 2500 and 3500 Limited models are also available with new body-color cab-length running boards. These new running boards enhance the smooth monochromatic exterior appearance when paired with the body-color tailgate lettering. The Ram Limited with monochromatic appearance package MSRP starts at $53,265, plus $1,395 destination, and will start arriving in dealerships in May 2017. Body-color R-A-M tailgate letters and running boards are currently available for ordering and are priced at $195 each, when ordered separately. Ram 1500 Night editions in Bright Silver Metallic, Bright White, Brilliant Black and Granite Chrystal will also be available with body-color running boards. Ram 1500 Night starting MSRP with the running boards is $38,885, plus $1,395 destination.